Bitters. They’re an important cocktail ingredient, but sometimes they’re just glossed over in terms of what they bring to the cocktail, or everyone just defaults to Angostura. Which is understandable because Angostura bitters are delicious. However, there are now a lot of bitters out there. 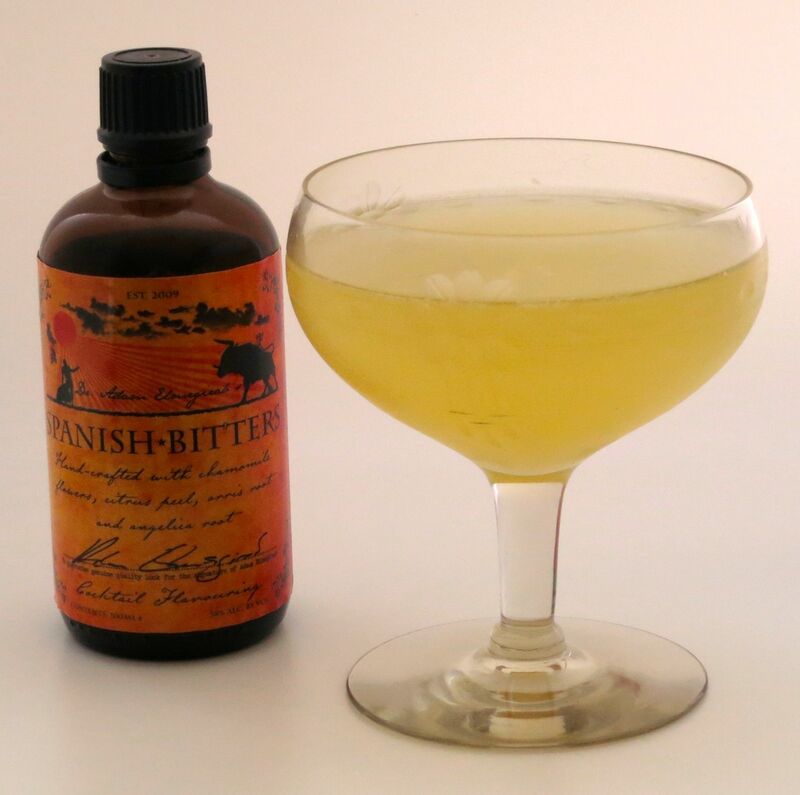 The bitters market has exploded much the same way the craft distilling market has. We love bitters, and we acquire them much the same we acquire booze; promiscuously ;). We have 40ish (maybe 50ish) bottles currently in the bar. This week, we decided to make some of our more unusual bitters the star of the show. With so many bitters in the liquor cabinet, it was hard choosing just a few for this week. After we pulled them all out, we decided on the Honeyed Apricot & Smoked Hickory from Mister Bitters (which we acquired at Tales of the Cocktail), Spanish Bitters from Dr. Adam Elmegirab, and finally Maple bitters from Urban Moonshine. First up, we tasted the bitters individually. Nose: BBQ – meaty, smokey, slight sweetness. Palate: Opens with intense, bright, sweet-sour apricot. Little bit of honey on the mid-palate along with hickory and smoke. Finish is quite bitter, with strong charcoal flavor and hints of grilled corn. Nose: Orange peel, chamomile, little bit of nutmeg, musky violet from the orris root. Palate: Citrus peel, nutmeg, chamomile, funky perfume-y orris root. Mildly bitter. Nose: Dandelion, gentian, ginger, hints of maple and clove. Palate: Most bitter of the three. Intro is quite bitter, with gentian and clove followed by ginger. Really strong earthy dandelion on the mid-palate. Ginger returns on the finish, with maple also finally showing up. Next up, we made some drinks with each bitters. ‘Cause hello, cocktails! For the Spanish bitters, we used one the recommended cocktails from Dr. Elmegirab’s site, not always a sure fire win, but this time we were not disappointed. Mix all ingredients in a shaker. Shake with ice. Strain into a glass. Cheers! Nose: Lime, chamomile, earthy notes from the tequila really stand out., accompanied by a little bit of orange peel. Palate: Intro is strong citrus and bitter notes, then chamomile, orris root, orange peel. Going into the mid-palate, the citrus fades while the spice increases and mixes with the earthy notes from the tequila. Finish is lime peel, peppery vegetal notes and vanilla. Great acid balance gives this cocktail a nice backbone. Nutmegs starts showing up more as the drink warms up. For the second cocktail, we turned to Paul Clarke’s new book, The Cocktail Chronicles. We meant to participate in this month’s MxMo but one of us (Shaun! It was Shaun) apparently doesn’t know how to use a calendar and we missed it. So this week we are giving Paul a shout out anyway because he’s awesome and his book is great. Paging through his book, we found a number of Manhattan alternatives, including the Saratoga Cocktail. It looked like it would handle alternative bitters well, so we decided to give it a whirl. Stir with ice. Strain into a glass. Garnish with a lemon peel. Enjoy! Nose: Apricot, lemon, toffee. Hints of milk chocolate, smoke, grape spirit, oak. Palate: Apricot and lemon to start. Mid-palate is bright grape spirit with honey, milk chocolate and toffee. Finish is very dark, with bitter herbal notes, smoke, and musty dried wood. 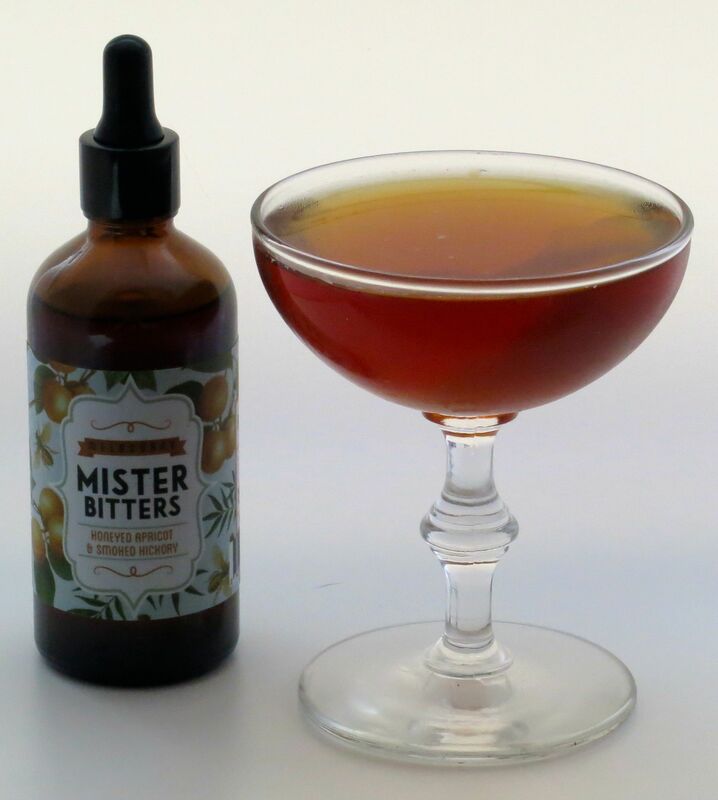 For our final cocktail with the maple bitters, we decided to try something original. Tasting the bitters we both immediately thought of nuts as well as the Amaro Montenegro. Since we’d already done whiskey and tequila, we turned to gin. Turns out our intuition was right. Our initial tries were tasty if a bit imbalanced with the gin dominating, but after fiddling with the proportions we settled on something we both liked. Stir all ingredients with ice. Strain into a glass. Garnish with an orange twist. Cheers! Nose: Dandelion. Strong juniper. Orange peel. Lemon peel. Hint of hazelnut. Newly tanned leather. Palate: Intro is dandelion and juniper. Mid-palate is a big hit of honey with orange and lemon. Hint of ginger at the end of the mid-palate going into the finish. Gentian, hazelnut and dark roast coffee on the finish. Maple shows up as an aftertaste. 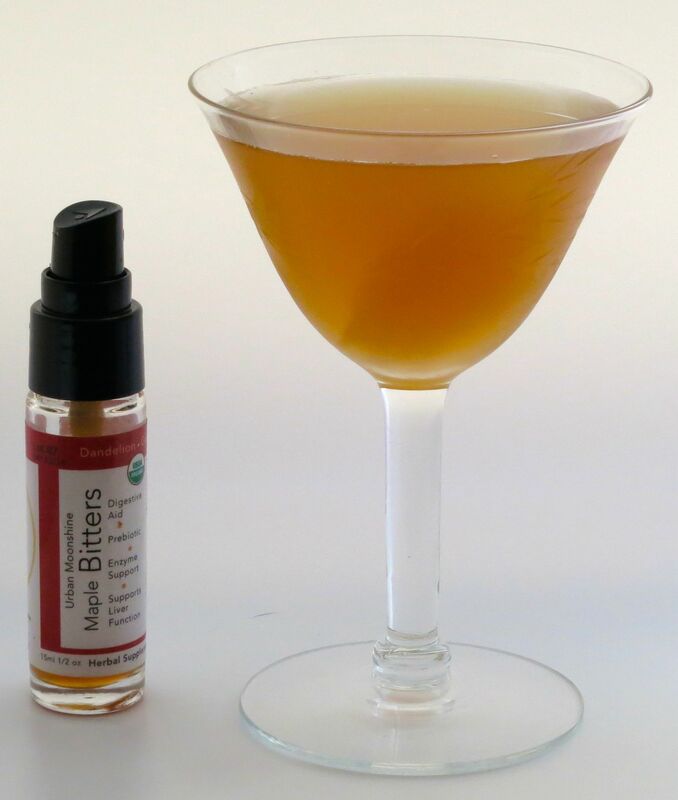 As you can see, bitters add a lot to a cocktail despite being used in small proportions. 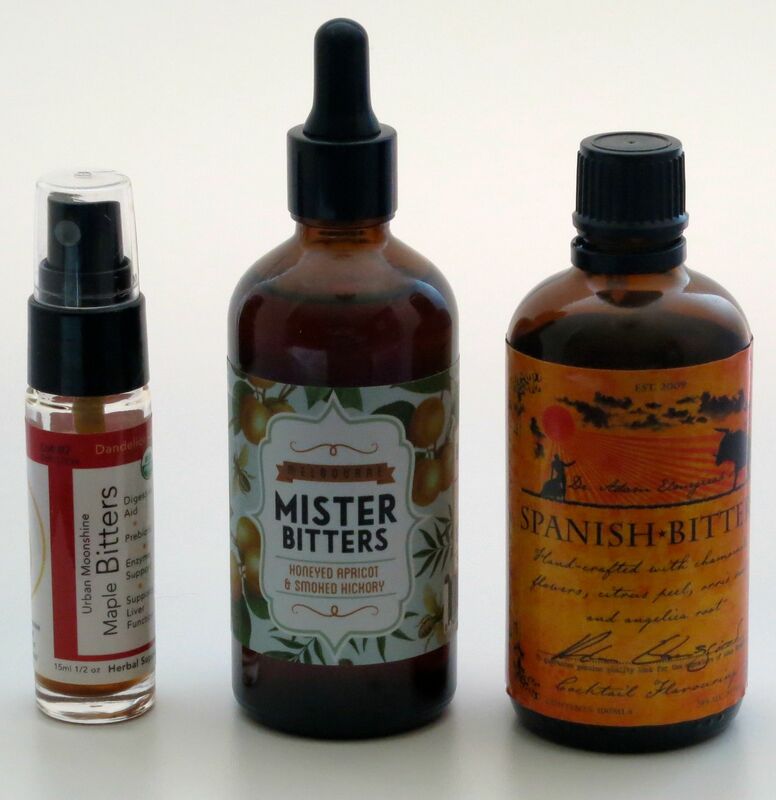 We hope we’ve inspired you to pick up some new and interesting bitters to try in your next drink; impulse purchases aren’t always bad :). Until next time, cheers! This entry was posted in amaro montenegro, amontillado sherry, cognac, gin, honey syrup, honeyed apricot & smoked hickory bitters, licor 43, lime juice, maple bitters, oloroso sherry, rye, spanish bitters, sweet vermouth, tequila - blanco. Bookmark the permalink. Great recommendations for bitters here. I’ll definitely have to give some of these drinks a shot! Thanks for sharing. Really enjoyed this post. Interested to see the quantities of bitters used (eg three barspoons)… I’ve only used drops / dashes really before. Should I try more?! If so what cocktail should I experiment with? I only have regans Orange, angostura and peychaud’s.